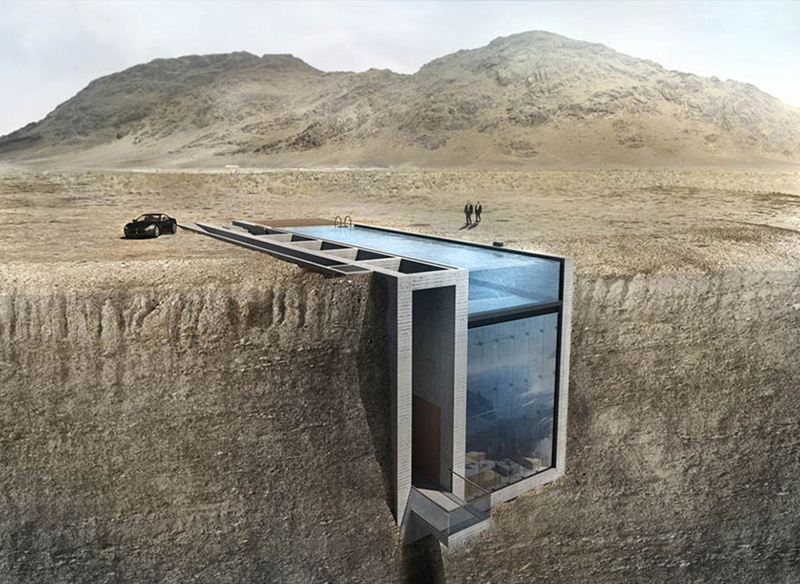 Greek architecture firm Open Platform for Architecture has released images of this stunning design for a new type of house that they wish to build directly into the cliffside on the Greek island of Rhodes. 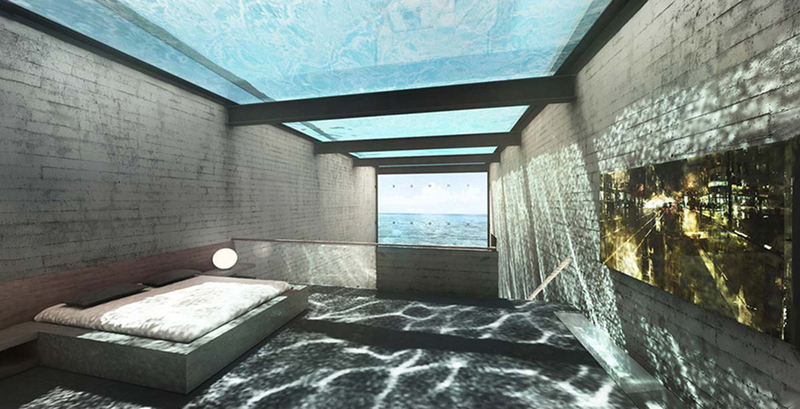 It is the design of architects Laertis Antonios Ando Vassiliou and Pantelis Kampouropoulos. Vassiliou grew up on the island, and has always been fascinated with its high cliffs facing out into the Aegean Sea. He has always wanted to design a home that incorporated those cliffs, and thus the idea for Casa Brutale was born. 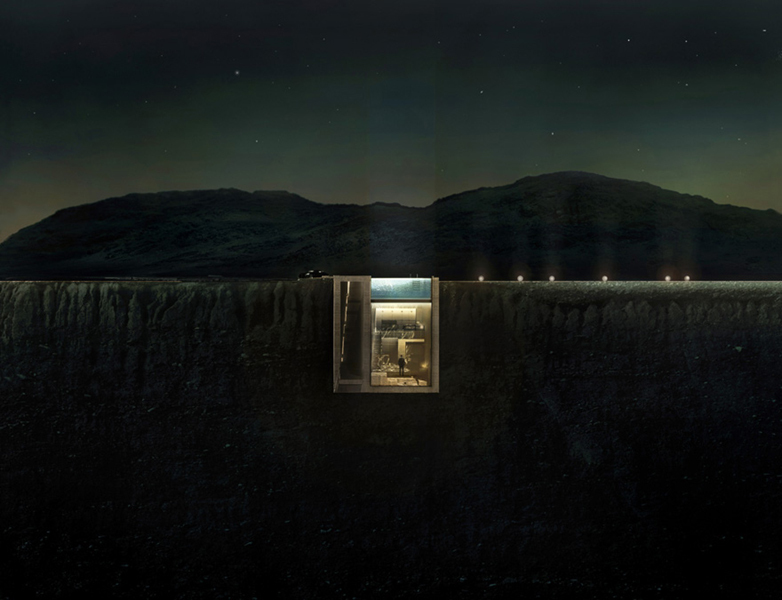 “What if we designed a house that was set into the cliff rather than on top of it?” Vassiliou wondered. 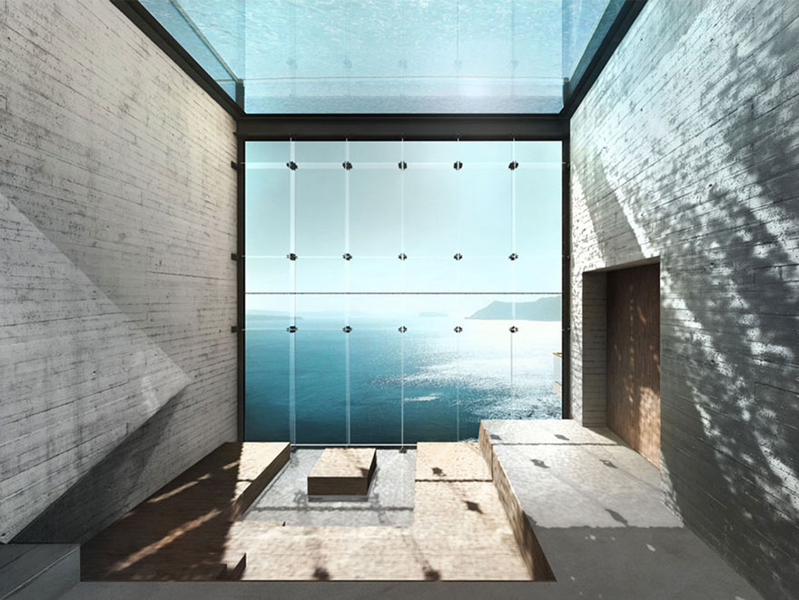 And so, alongside his partner Kampouropoulos, he set about designing this stunning home which he envisions being built into the very rock itself. The house woould be made entirely from stone, concrete, wood and glass. At night, the place would shine like a beacon from the cliffs. Even the furniture in the house would be made from wood, concrete and stone. 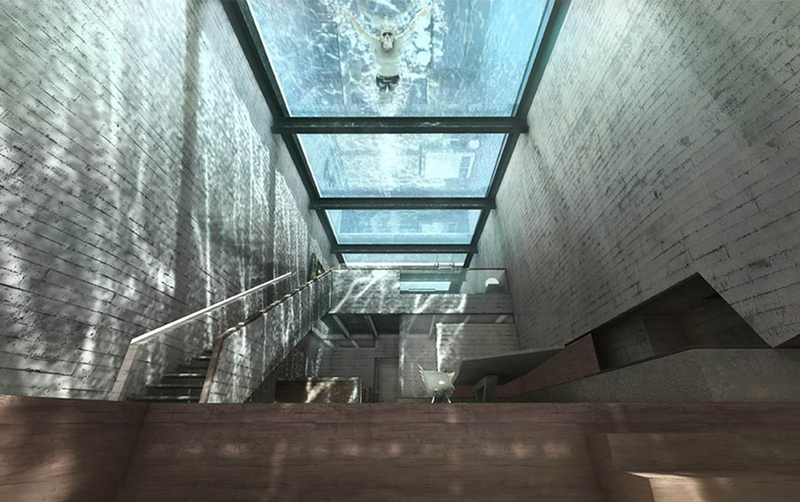 Many consider these materials would create a cold, hard environment, but the architects and their supporters disagree, saying the glass roof – incorporating a swimming pool, no less – and the front elevation made entirely from glass would bring warmth and color into the space. Sadly, this stunning, haunting home may never be made real. The current economic turmoil in Greece makes the building of it almost impossible in the current climate. 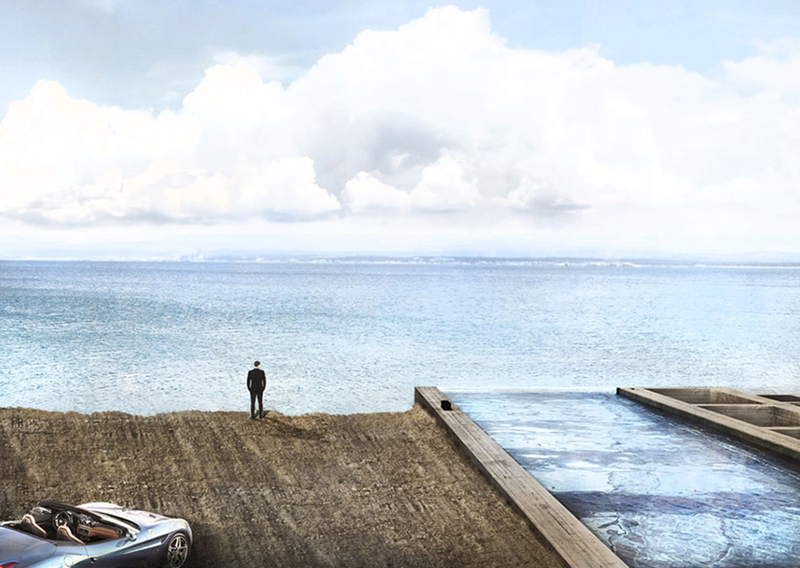 If it was ever built, it would be amazing, if a little terrifying during a sea storm! For now, at least, Casa Brutale remains just a dream. Let’s hope one day it becomes a reality. Previous articleThese Fish Surround This Adorable Duckling. What The Duckling Does Next Is Amazing! Westboro Baptists Rickrolled And Trolled Hard By Foo Fighters! This Clever Trick Shows You How To Stop a Baby Crying!